The end goal of every software release is working software that meets the needs of the client. We’ve put an emphasis on ensuring that our development process testing strategies focus on giving the stakeholders exactly what they want. This mitigates unnecessary development activities. 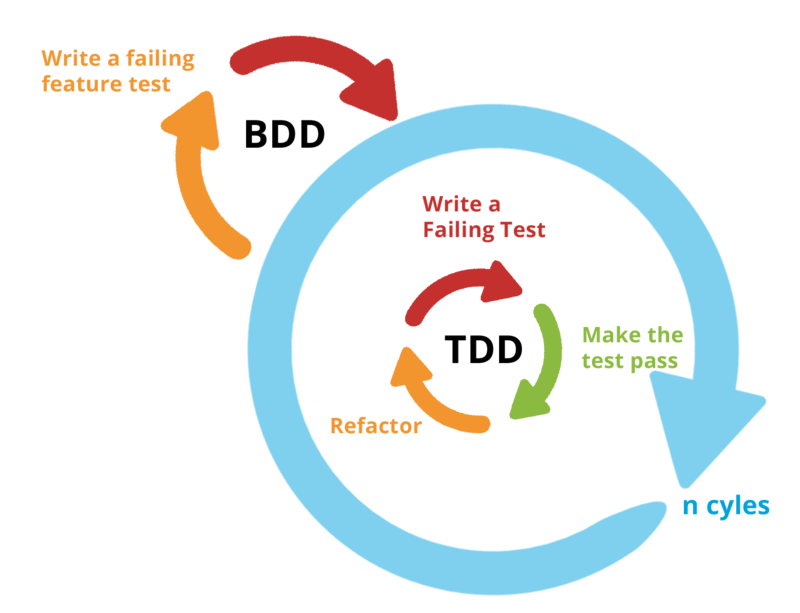 Our test-driven development process is a natural extension of Agile. Agile defines a story and the definition of done. To prove that the story is done, we ensure we use concrete examples from the client and end-user perspective as acceptance criteria. This ensures our developers always have the BDD/TDD mindset – that the end product has to prove itself. Additionally, our process ensures that QA is intimately embedded in our development process and manifests itself through multiple processes and checkpoints.